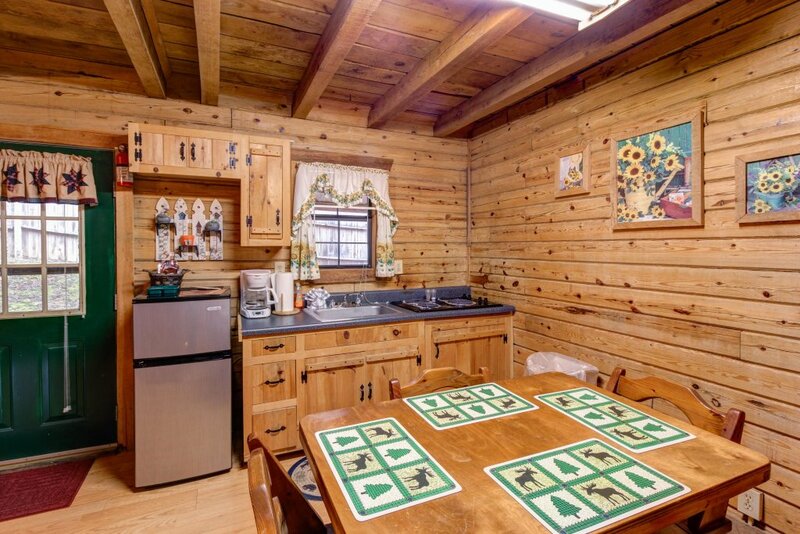 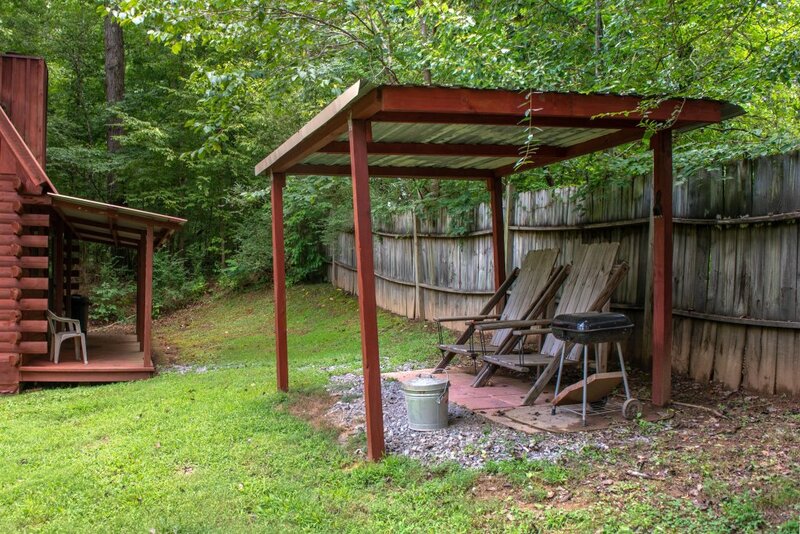 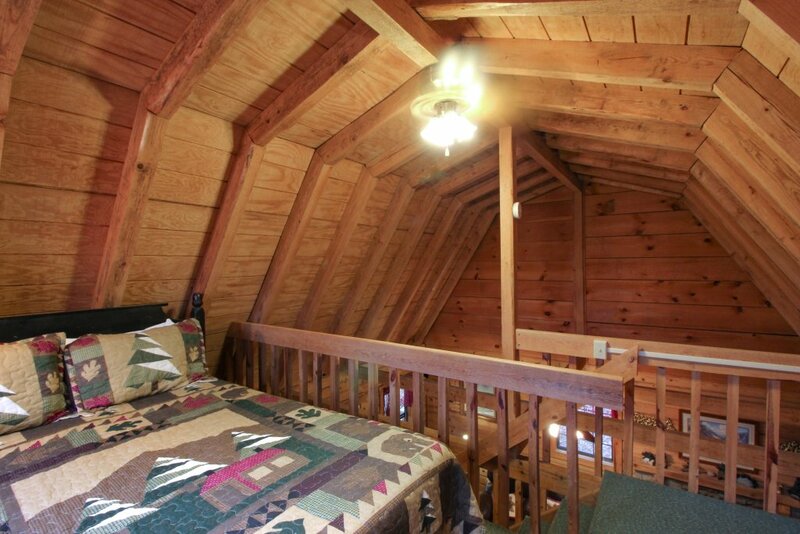 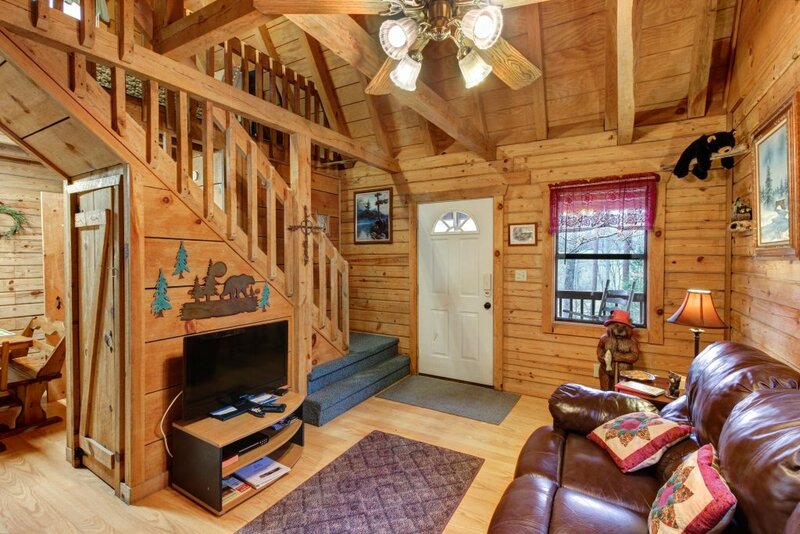 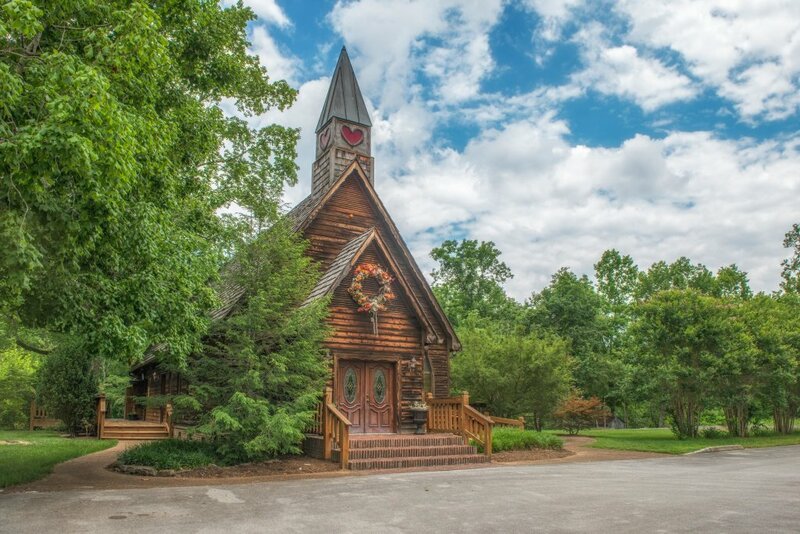 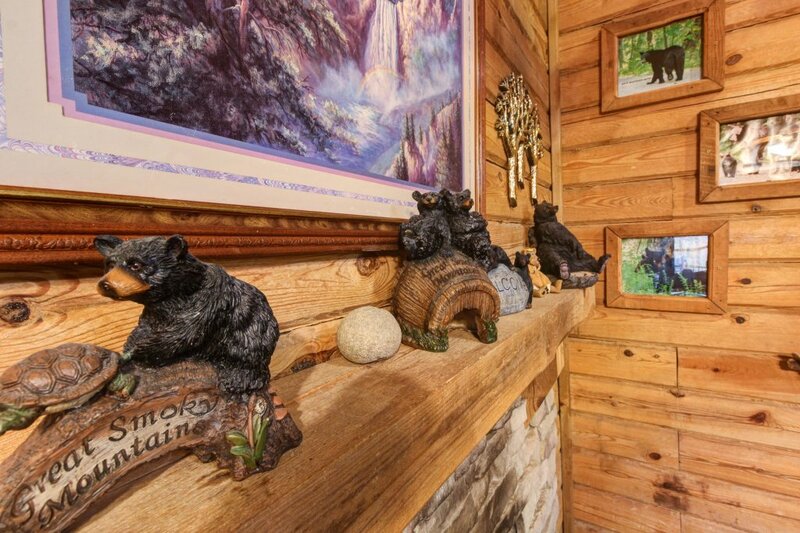 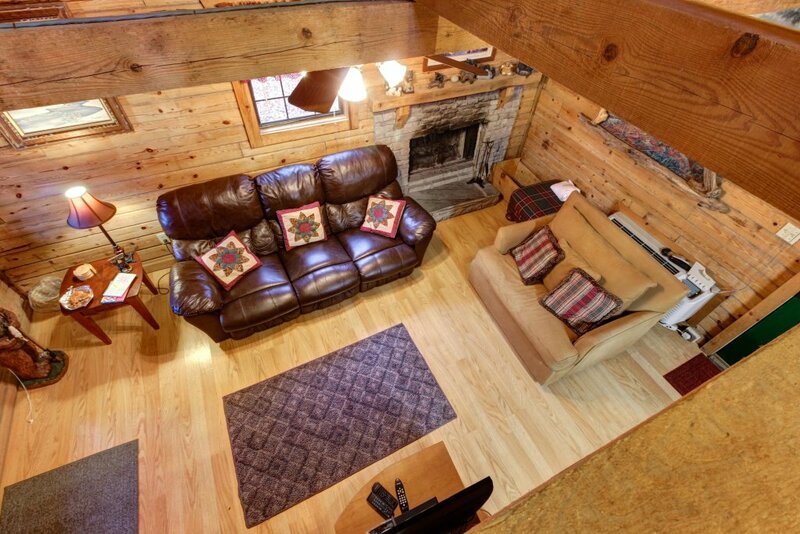 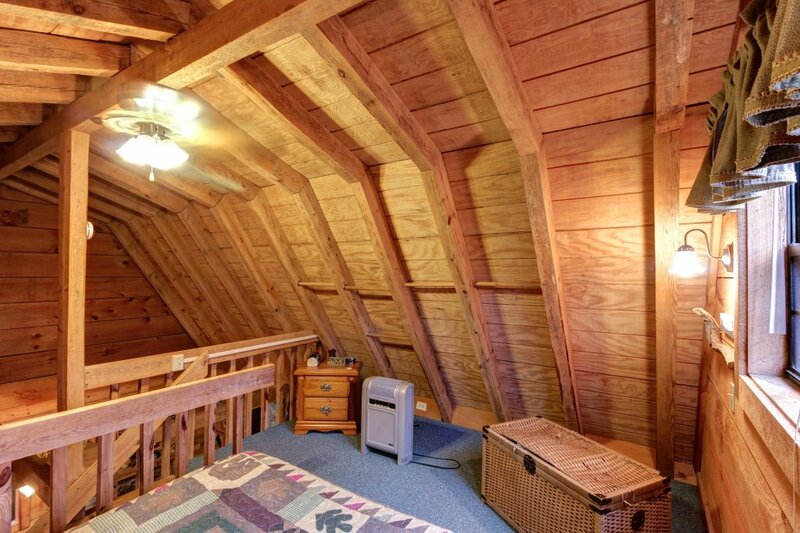 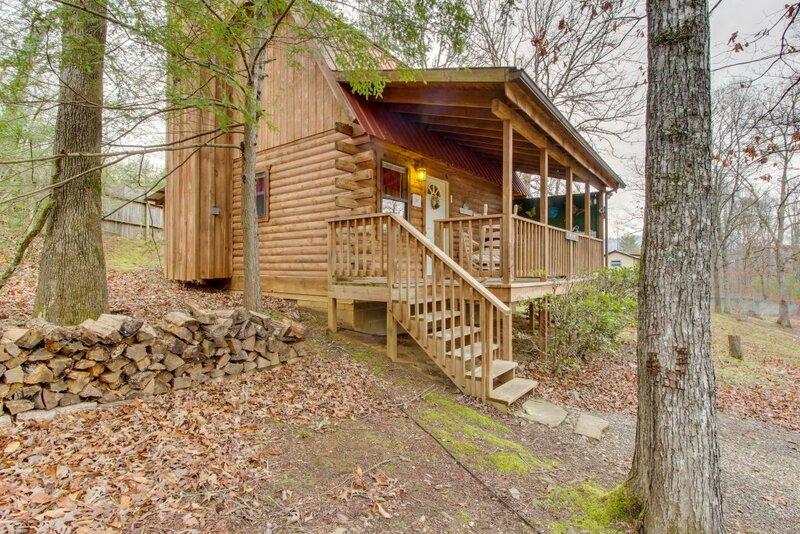 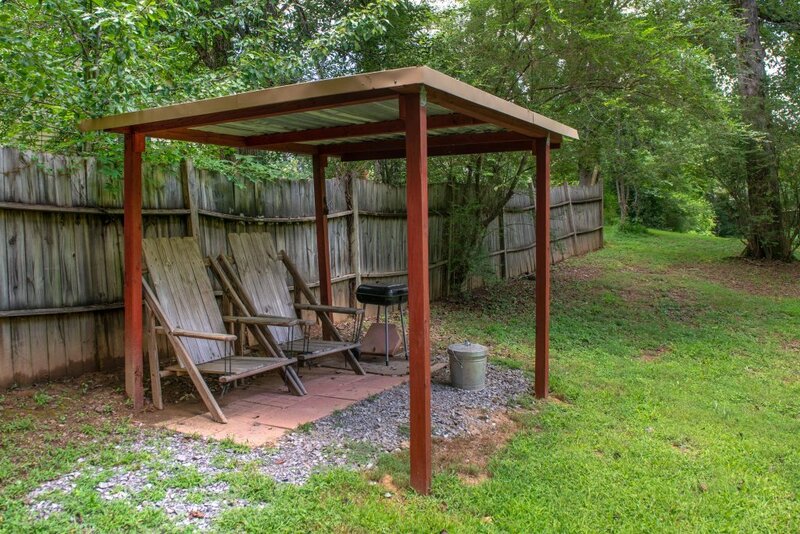 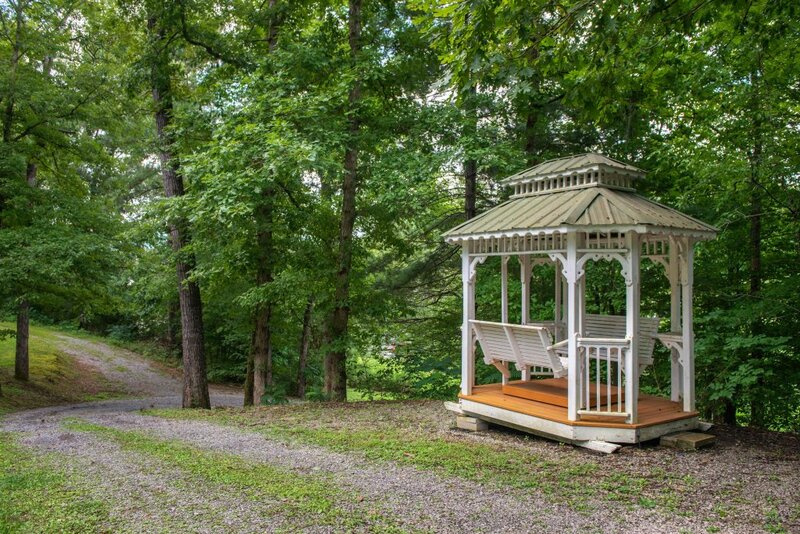 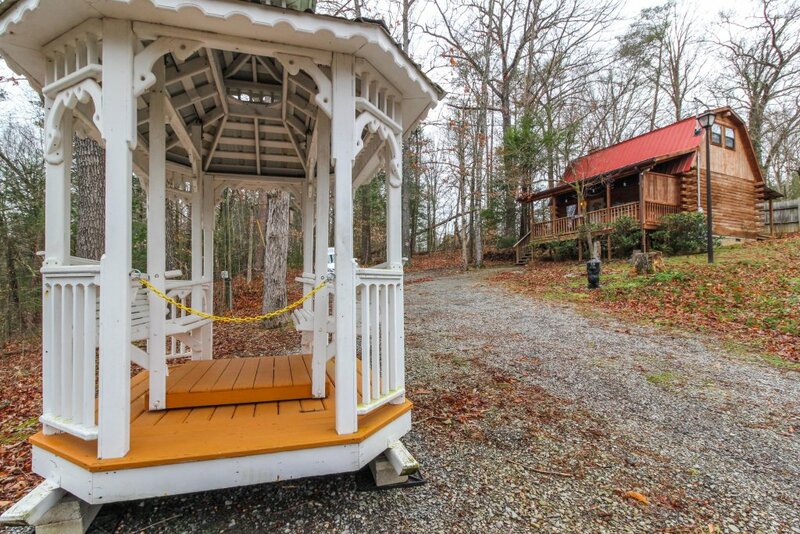 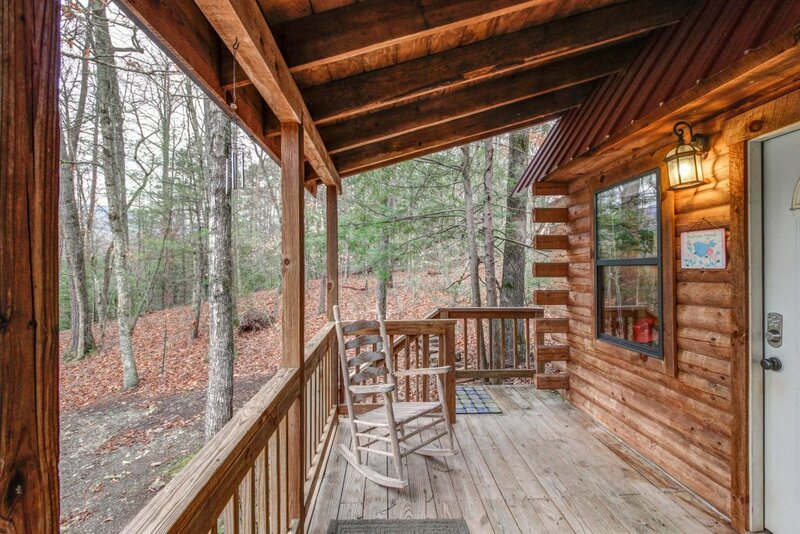 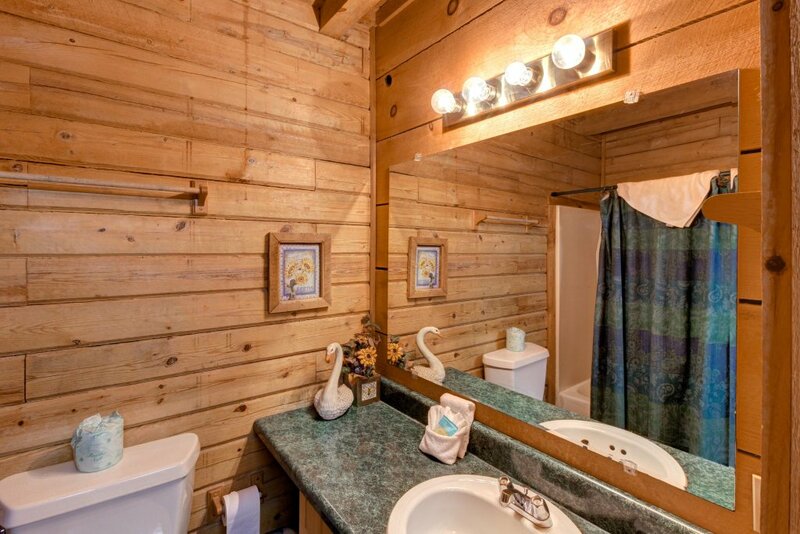 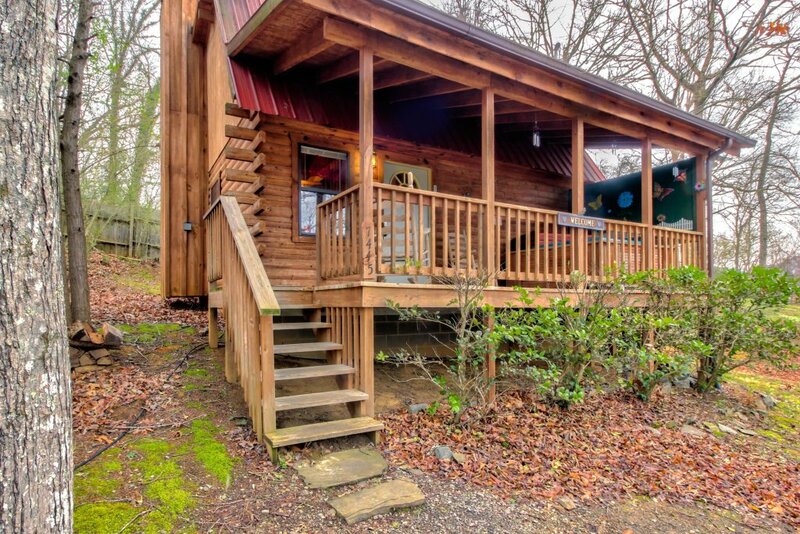 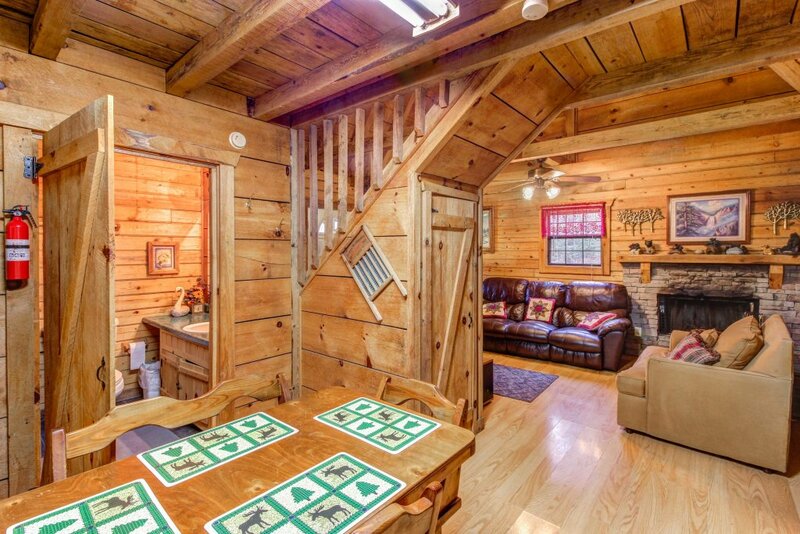 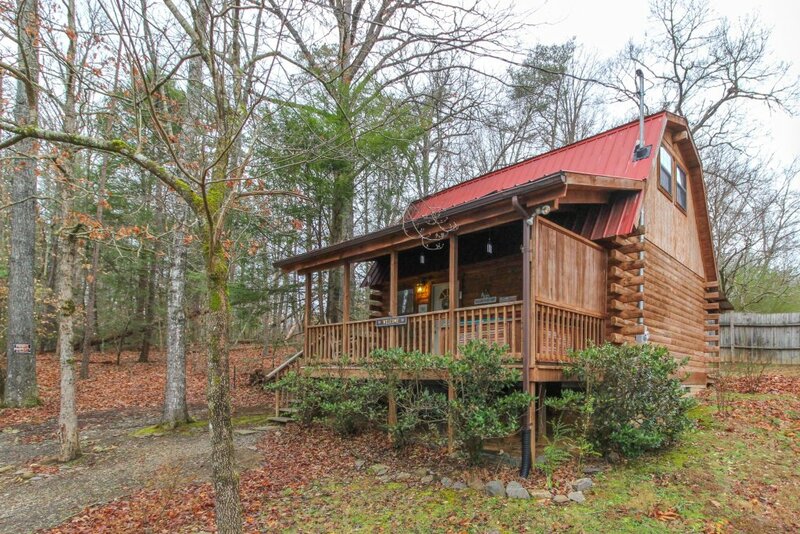 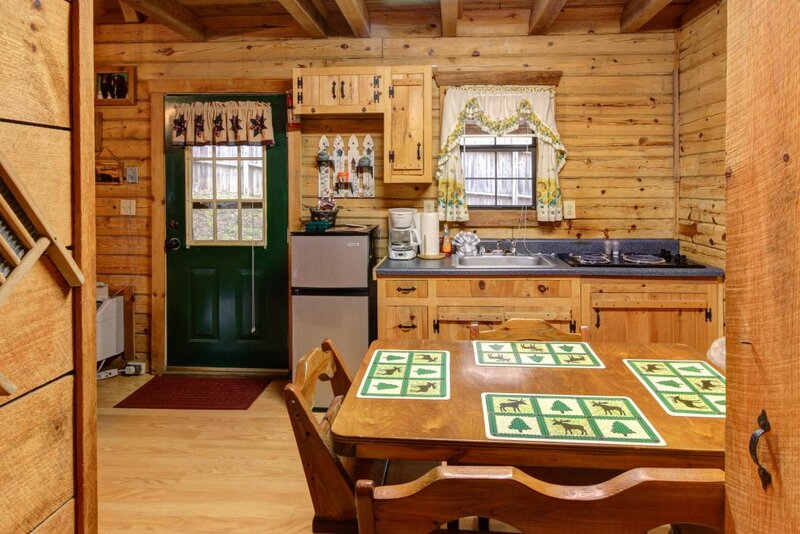 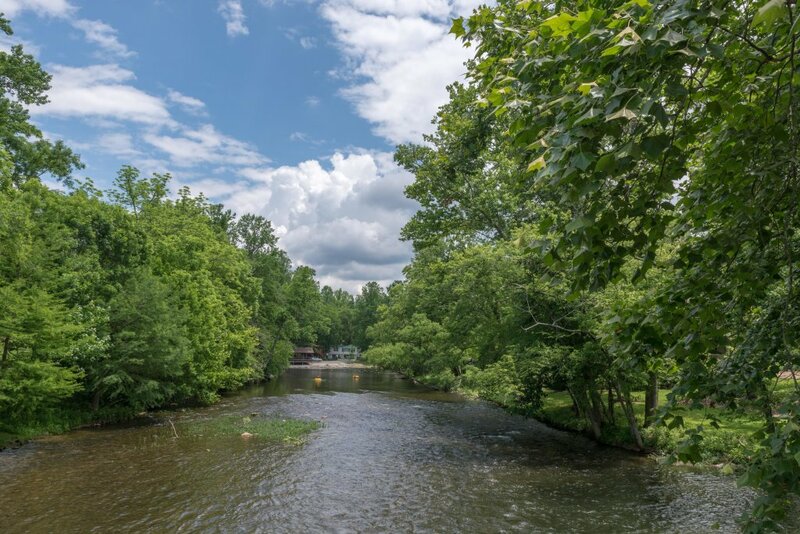 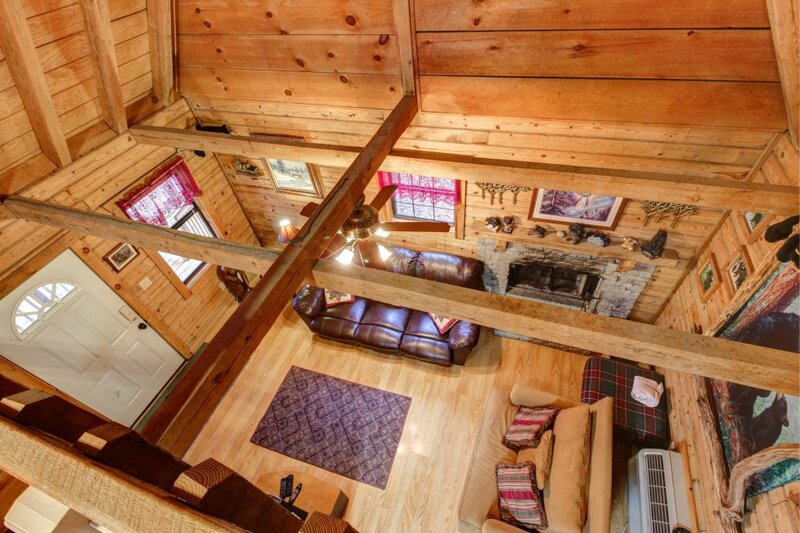 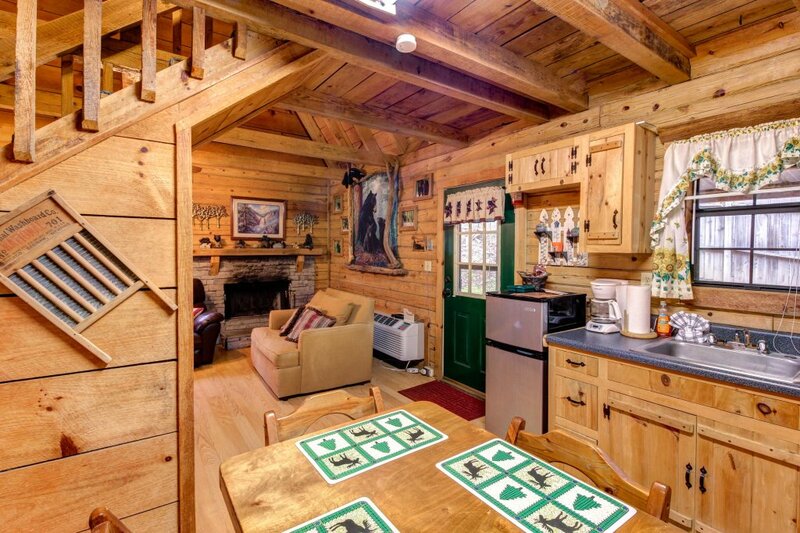 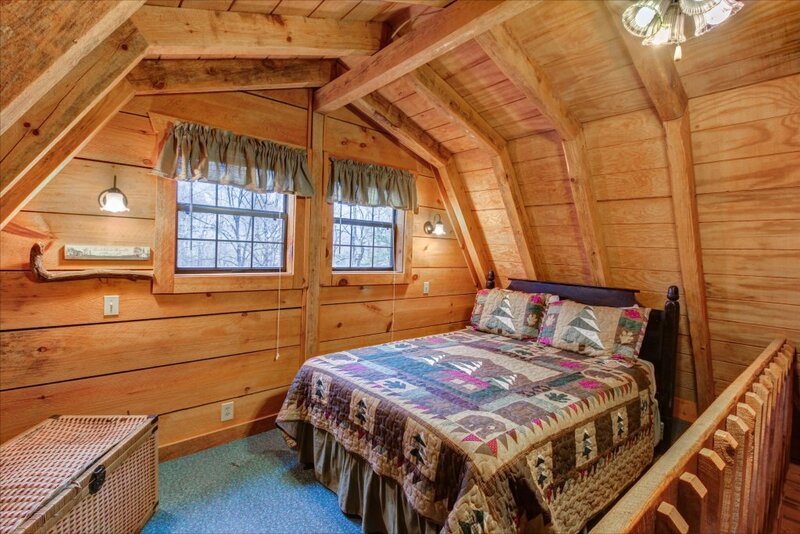 Whether you're in search of a little bit of romance with your special someone or in need of a peaceful getaway with your small family, this Tennessee cabin is just what you're looking for! 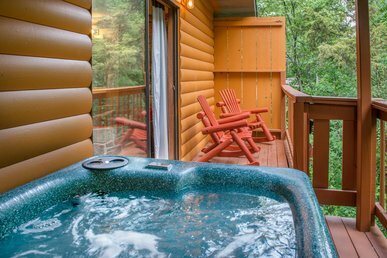 From its sleepy location and atmosphere to amenities like a private hot tub, your next trip to the Smokies is one you're sure to remember. 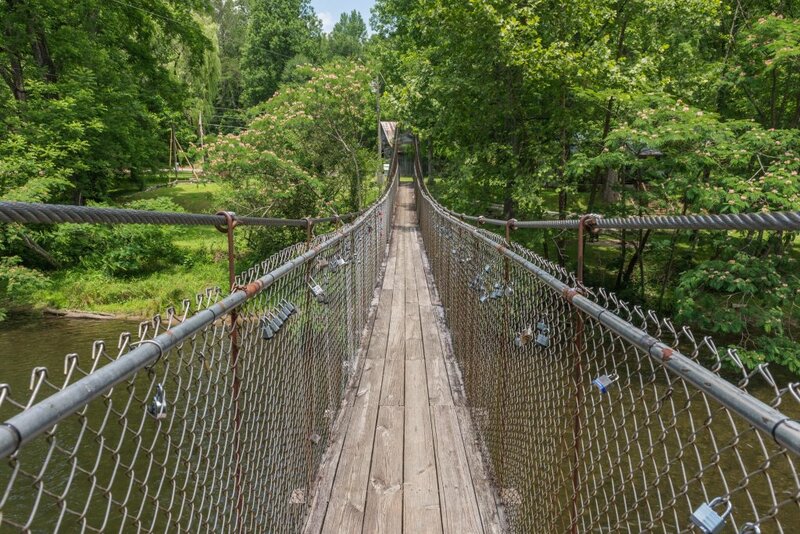 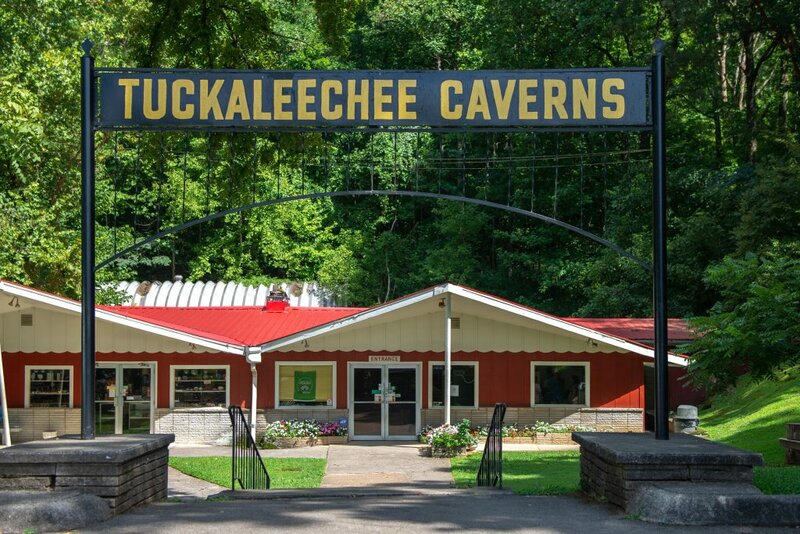 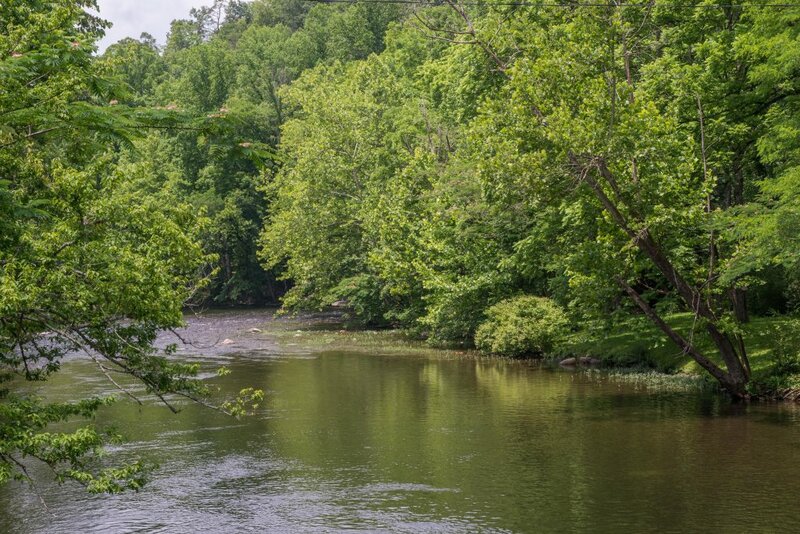 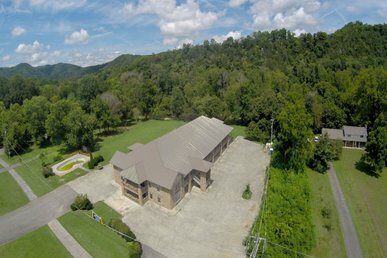 Nestled in Townsend, the peaceful side of the Smokies and the gateway to Cades Cove in the National Park, your new home away from home is just a short walk from groceries at Tuckaleechee Market and hearty dining at Country Steak 'N' Eggs. 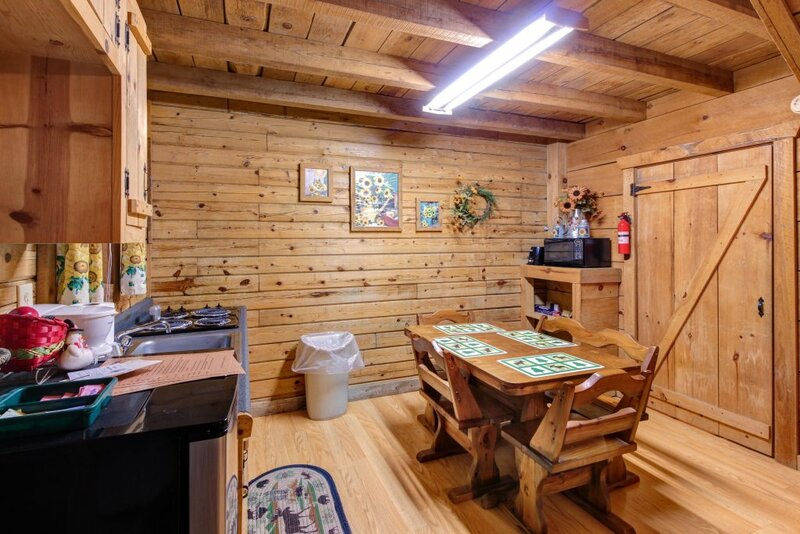 Despite your close proximity to nearby venues, your cabin still feels nice and isolated, surrounded by swaying trees and with a great view of distant hills. 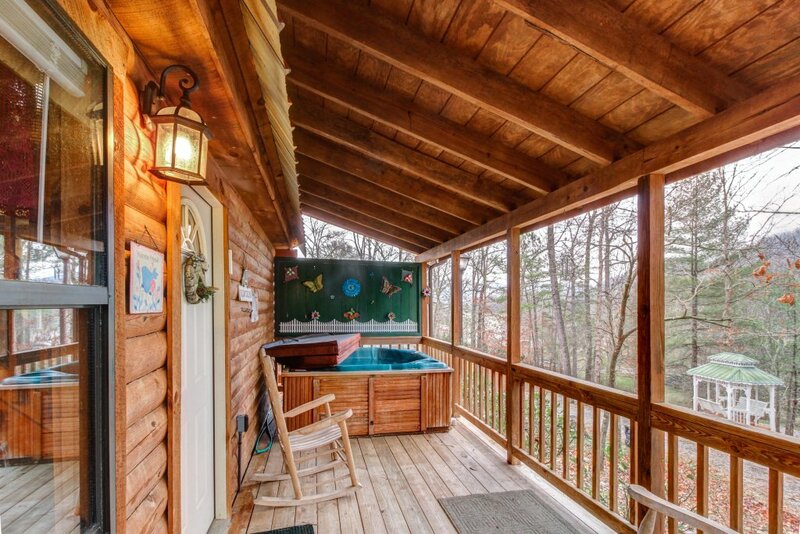 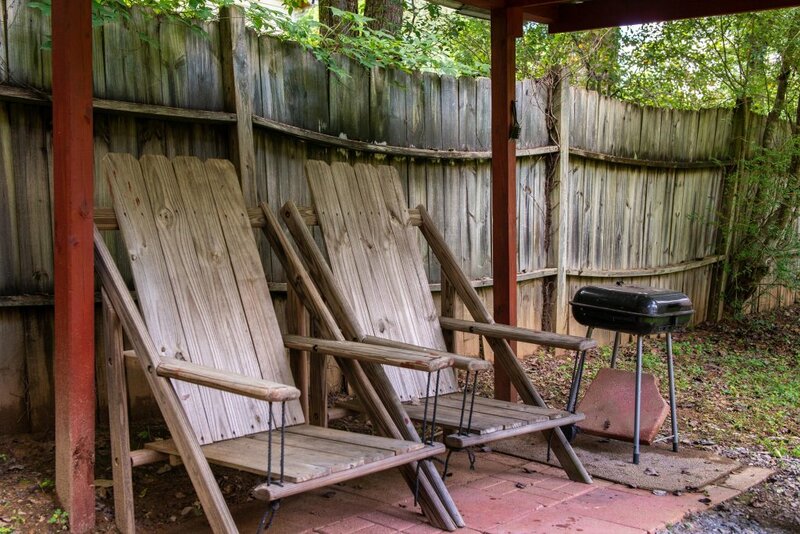 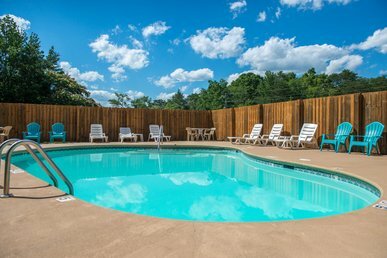 Take it all in from the deck, or even your private hot tub! 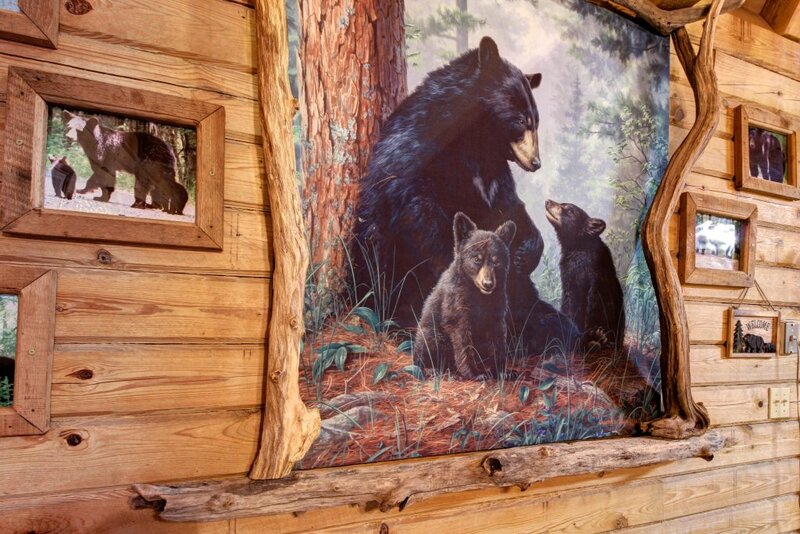 Inside, floor-to-ceiling wooden details along with naturalistic paintings, create a relaxing rustic atmosphere. 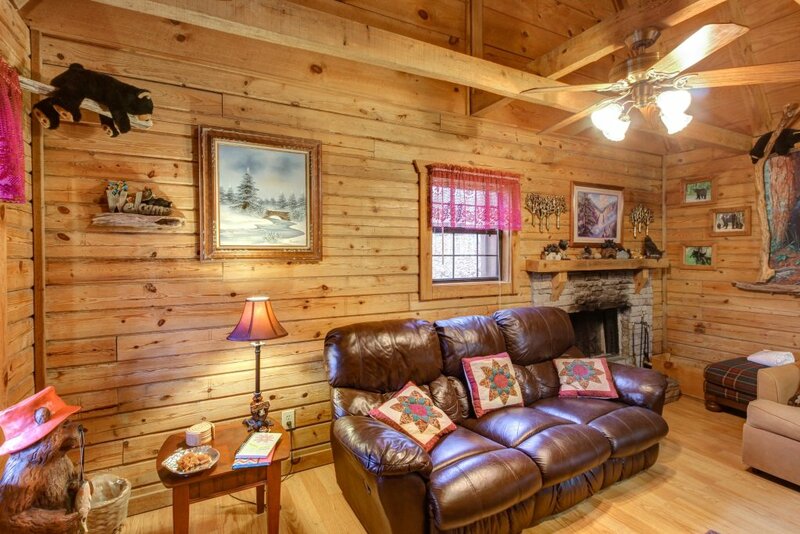 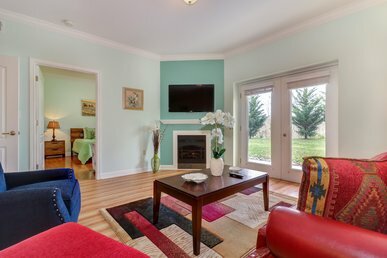 Take a seat in the cozy living room to read a book or lounge with your nearest and dearest. 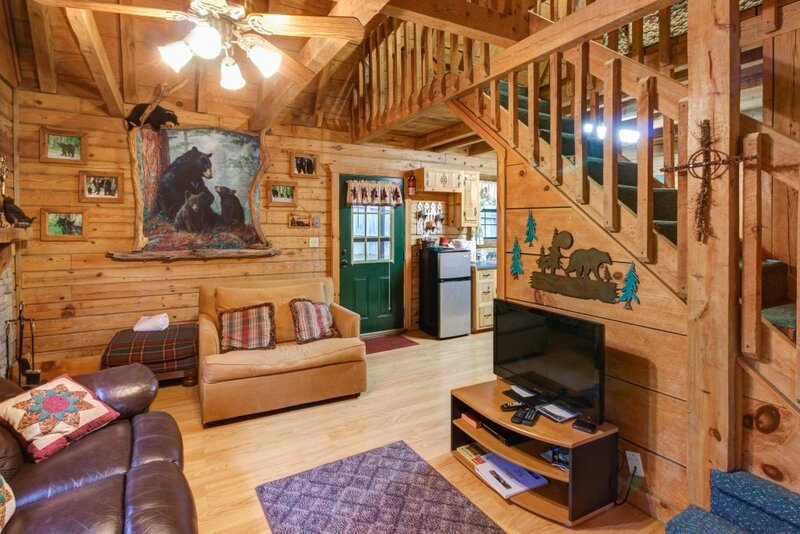 There's no internet access in this home, but with nature all around you, a warm fireplace, and your sweetheart snuggled up beside you, you won't miss it one bit. 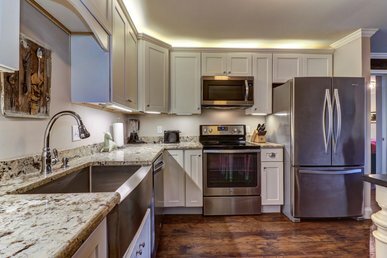 The kitchenette makes dinnertime fun for everyone! 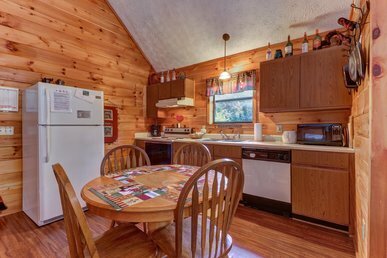 Everything you need to make basic meals is present and accounted for in this compact cooking space, with a nearby table for four where you can enjoy your food. 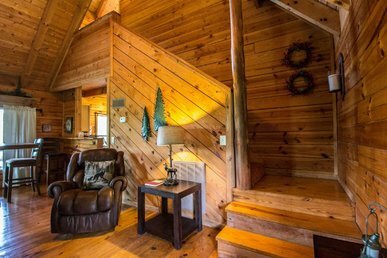 Three guests can sleep in this home at once, thanks to a twin-size chair sleeper and a queen-size bed in the loft upstairs. 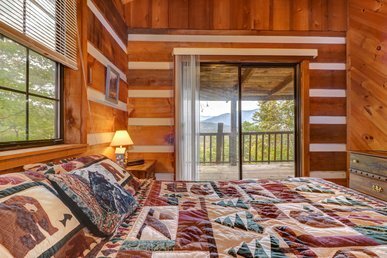 Wake up and step outside to breathe in that fresh, clean mountain air, before showering in the bathroom and heading out for the day! 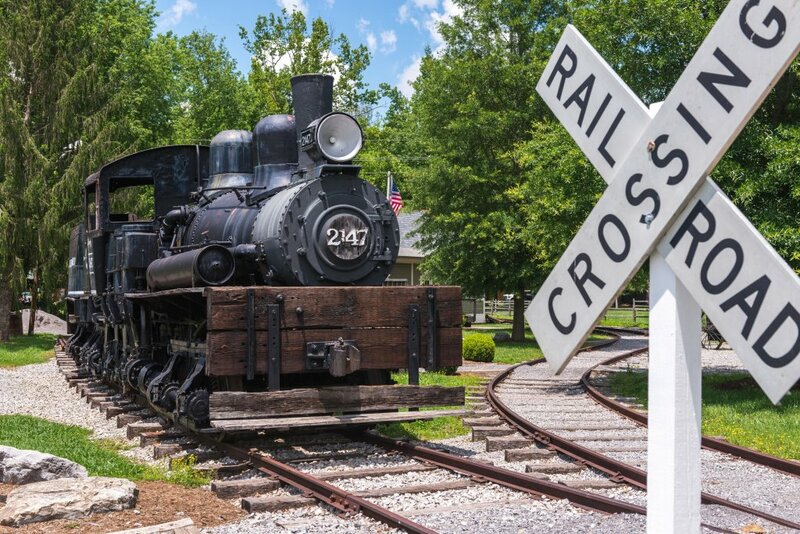 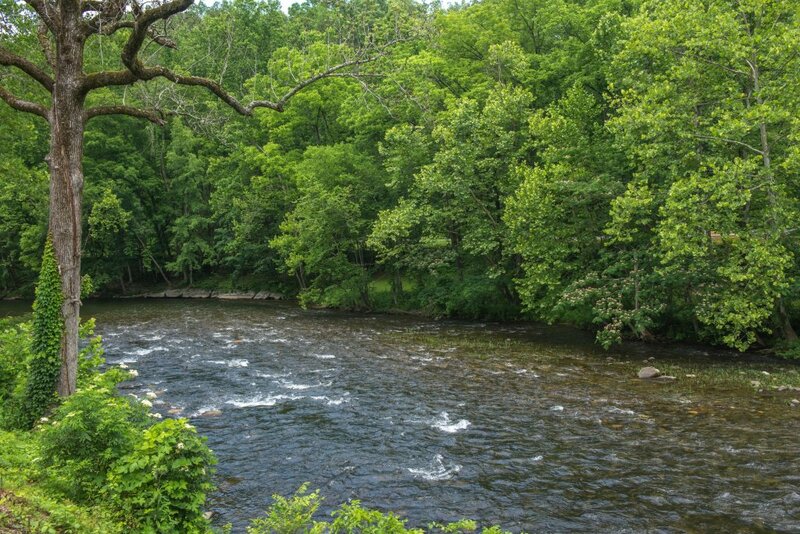 Maryville is nearby and offers a nice change of pace with its bustling atmosphere. 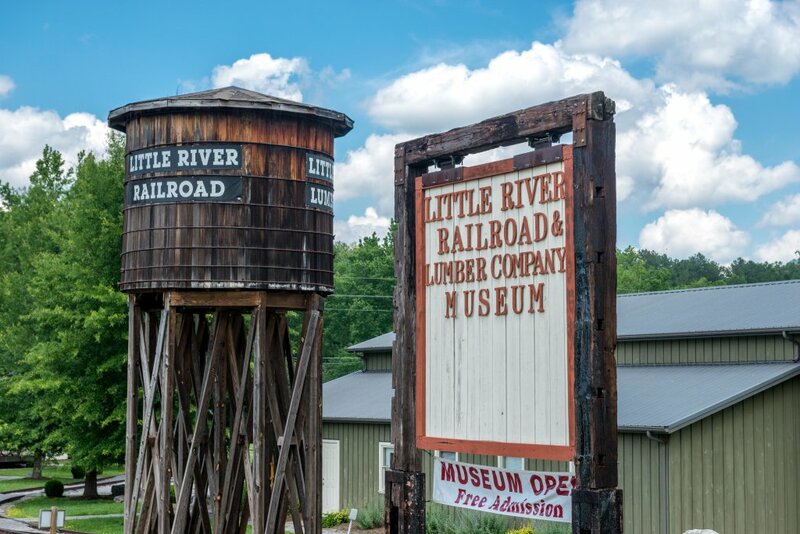 The town has several shops and restaurants for you to explore, on top of historic attractions like Fort Craig Spring. 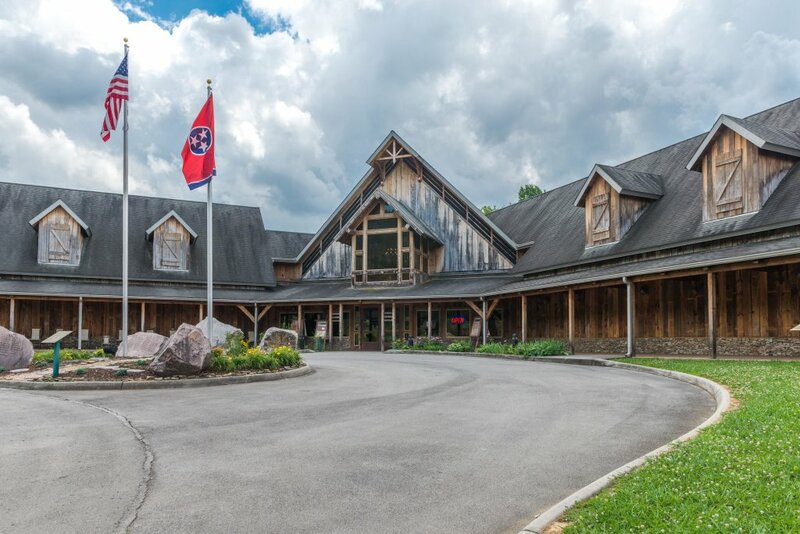 Pigeon Forge, meanwhile, just to the east and offers family-friendly thrills at Dollywood and WonderWorks. 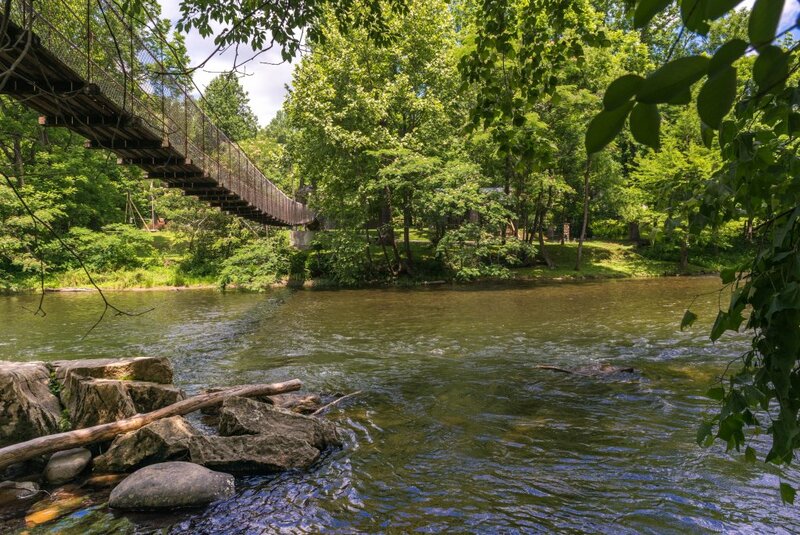 Of course, you shouldn't forget about the Smoky Mountains themselves - natural beauty awaits you at the Great Smoky Mountains National Park. 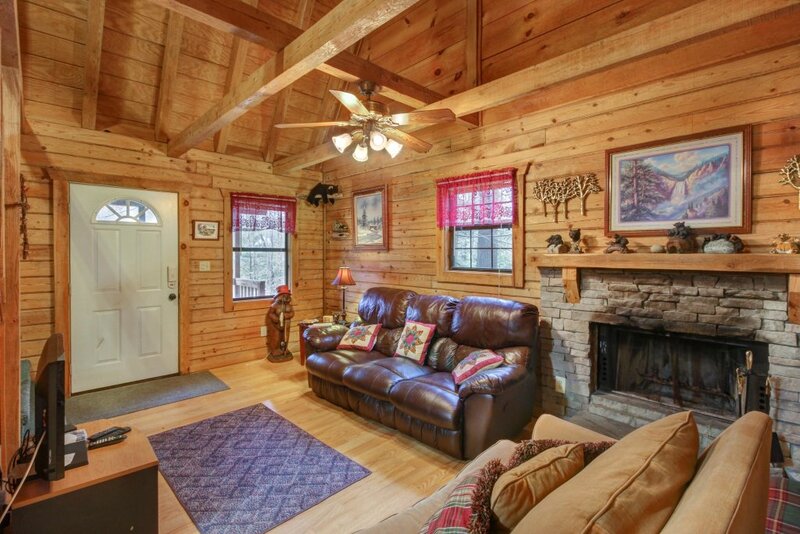 Book today and leave everything but your loved ones behind with an incredible vacation!